The function of the kidney is to filter blood by getting rid of excess fluid and waste from the body. The waste then goes to the blood and excreted out of the body in form of urine. Dialysis works the same way as your kidney. When the kidneys fail. The National Kidney Foundation states that kidney failure occurs when it performs at less than 15% of its normal activity. The dialysis treatment helps to purify blood to keep electrolytes and fluids balanced when kidneys cannot function normally. 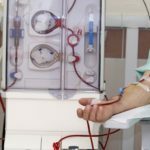 There are different types of Dialysis treatment options, but in this article, we shall focus with hemodialysis and peritoneal dialysis. In hemodialysis, a machine cleans the blood by eliminating toxins and waste and then takes the blood back to your body. For hemodialysis to be successful, a surgeon must create an access portal, which is created through a minor surgical operation, mostly in the arm. The aim is to connect a vein and an artery. The portal can be access in weeks or even months, based on the nature of the portal. The hemodialysis can be placed on any vein or artery. A surgeon will then assess you to figure out the best place to create the access portal. Normally, the minor surgery takes about 2 hours. While waiting for the access, surgeons may place a temporary tube on the neck. Note that if you have a short term dialysis, the access will be temporary. It is crucial that you adhere to the guidelines to keep your tubes clean to prevent infections. This dialysis treatment option is characterized by a surgery where a peritoneal dialysis tube is fitted into the abdomen. The tube’s function is to clean the blood via the peritoneum membrane. The surgeon usually uses a special fluid called dialysate which is introduced into the peritoneum to absorb waste, which is then removed from the body through the abdomen. Continuous Ambulatory Peritoneal Dialysis- In this procedure, the fluid is filled and removed from the abdomen several times per day. No machine is required in this procedure and must be done while the patient is awake. Continuous Cycling Peritoneal Dialysis- This dialysis procedures features a machine that cycles the fluid in and out of the patient’s abdomen. It must be done when the patient is asleep and just like other types of dialysis, it takes several hours to complete. Intermittent Peritoneal Dialysis- This type of dialysis must be conducted in a hospital but can still be done at home. A machine is usually involved to introduce fluid in and out of the abdomen. It is a lengthy process that requires patience. You should be careful when determining the best type of dialysis for your specific condition. If you choose the best dialysis treatment option, then there will be less risk. Lastly, make sure that you talk to your healthcare provider to help you choose the best treatment option for your condition.